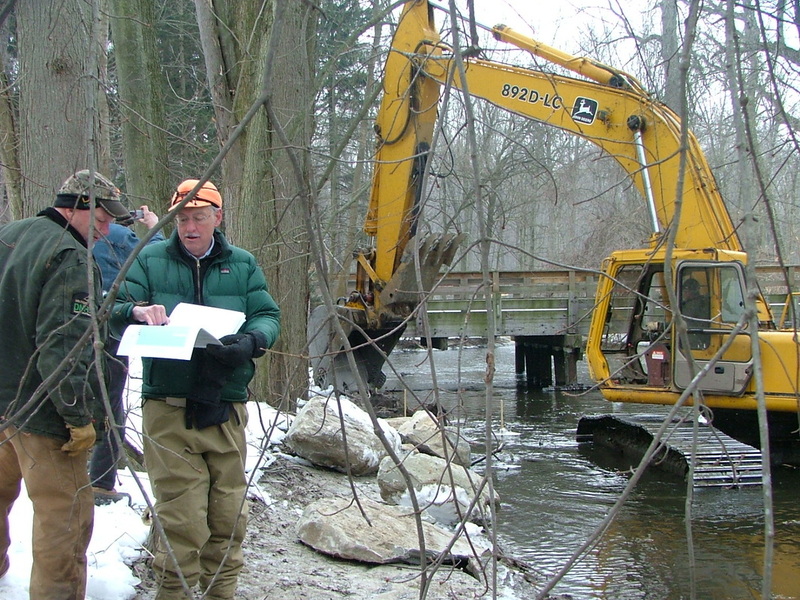 The Eaton Conservation District received a 319 non-point source grant from the Michigan Department of Environmental Quality to develop a watershed management plan for the Middle Grand River. Located in Mid-Michigan, the Middle Grand River watershed encompasses approximately 258 square miles (~165,000 acres) in Clinton, Ingham, Eaton, and Ionia Counties. The Middle Grand River section is approximately 129 miles in stream length and joins the Upper Grand River Watershed and the Lower Grand River Watershed. Together, the Upper, Middle, and Lower Grand River Watersheds make up the second largest watershed in Michigan. The Battle Creek River Watershed Project is an effort by landowners, residents, conservation groups, and local, state, and federal agencies to protect the quality of water for drinking, agriculture, recreation, wildlife, and fisheries. The Battle Creek River has been identified as one of the leading contributors of phosphorus and sediment to the Kalamazoo River. The overall goal of this project is to identify the natural resource and water quality needs, problems, and solutions that will help restore the Battle Creek River. 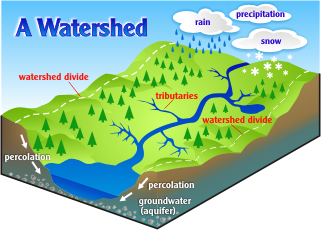 A watershed management plan has been developed that integrates the concerns of watershed stakeholders and, through implementation, improves the water quality within the watershed area. This project is funded through Section 319 of the Clean Water Act and is currently in implementation of the Watershed Management Plan through the Spring of 2009. The Battle Creek River Watershed area covers 187,000 acres across northern Calhoun County (Emmett, Pennfield, Convis, Lee, and Clarence Townships), southeastern Barry County (Assyria and Maple Grove Townships), and southern Eaton County (Kalamo, Bellevue, Carmel, Walton, Eaton, and Brookfield Townships). The main drainage channel is the Battle Creek River, which receives small tributaries such as Wanandoga Creek, Goose Creek, Ackley Creek, Crooked Brook, Ellis Creek, Indian Creek, State and Indian Drain, and Big Creek. The headwaters of the Battle Creek River begin at Narrow Lake in southern Eaton County, head north through Charlotte, swing southwest through Bellevue, and outlets to the Kalamazoo River in Battle Creek, which then flows into Lake Michigan. Local residents and visitors enjoy the watershed area for the vast rural and wetland areas, lakes, and the many recreational activities including fishing, canoeing, hiking, and hunting. Restore the aesthetic beauty of one mile of river through Bennett Park by restoring the river to a meandering form from a ditch. 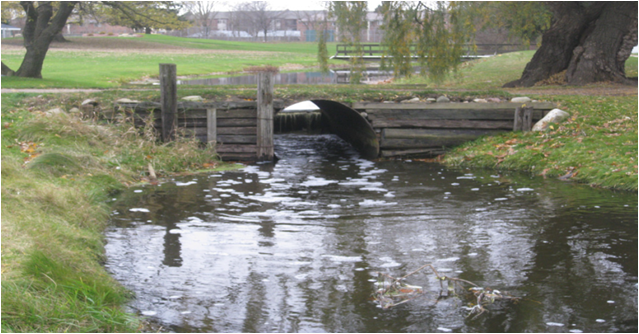 Restore flow to the historical channel of the Battle Creek River from I-69 to the eastern pedestrian bridge in Bennet Park. In the summer of 2005, a natural fish rock ramp was constructed at the downstream end of the lake level control structure of the outlet of the Battle Creek Drain on the north end of Narrow Lake. 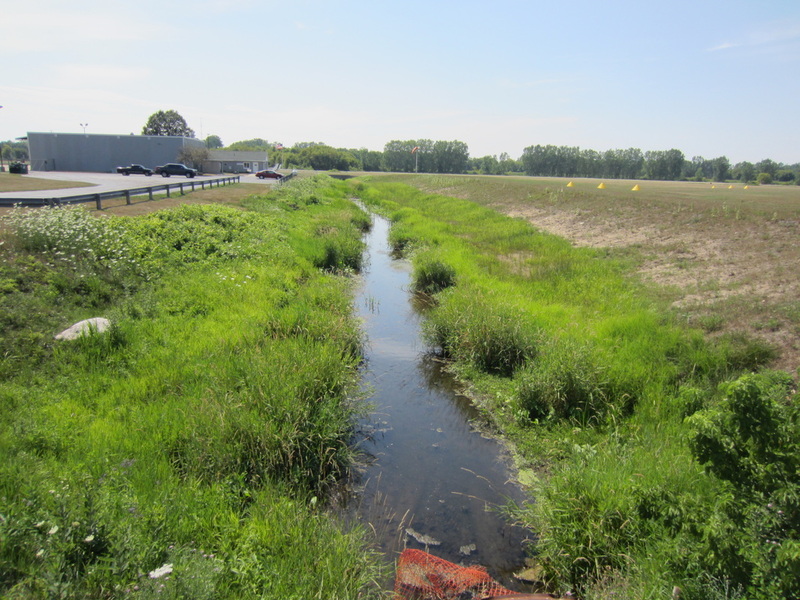 The project was spearheaded by the Battle Creek River Watershed Project, the Michigan Department of Natural Resources (MDNR), the Eaton County Drain Commissioner, the Eaton County Conservation District, and was funded by the US Fish and Wildlife Service. The goal of the project was to allow fish passage over the lake level control structure during high flows in the spring. The rock ramp is similar to a fish ladder. In order to determine if the rock ramp was allowing for fish passage as it was designed to do, a fyke net was placed just upstream of the dam (lake level control structure) by the MDNR on March 20th through March 28th. MDNR checked the net every other day and measured and identified fish. The fish were then released back into Narrow Lake. So did the rock ramp work? The fish answered with a resounding YES! Over 11 different species that represent both strong swimmers and jumpers and weak swimmers and jumpers made it over the dam. 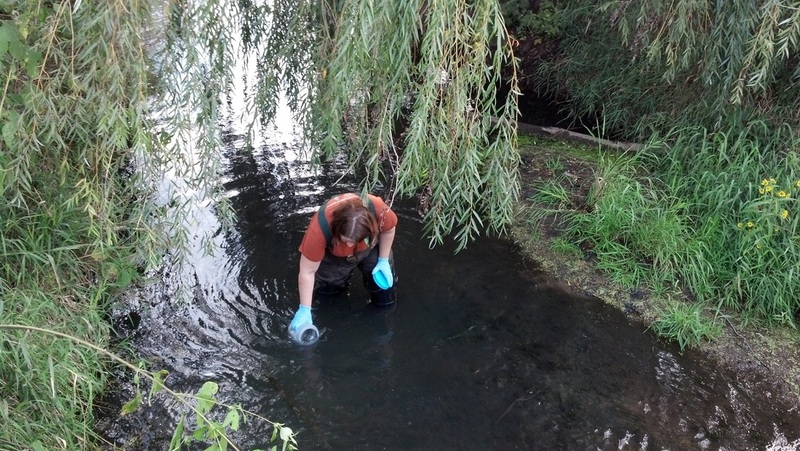 Species sampled included golden shiners, common white suckers, blue gill, largemouth bass, lake chubsucker, yellow perch, bowfin, walleye, yellow bullhead, northern pike, and pumpkinseed. The largest fish sampled was a 36” northern pike and a 21” walleye. Since the mesh of the fyke net was too large to sample smaller fish, observations have been made on site of the rock ramp that darters have made it over the dam. Over twenty citizens were on hand for the Nashville Dam Committee meeting at the Village Hall on Tuesday, May 26 to see the engineering plans for the Nashville Dam Removal project. Joanne Barnard of the Barry Conservation District (BCD) began the meeting by announcing that the draw-down of the Mill Pond had begun. Chris Freiburger of the Michigan Department of Natural Resources provided a summary of river survey data to explain the final design plan for the Thornapple River restoration. A permit for the removal of Charlotte’s Maple Hill Dam on Butternut Creek, a tributary of the Thornapple River, was also approved on May 23. This project will remove the remnants of the small dam, add two cross-vanes and shore up the banks with boulders and fill. The meeting discussed approval of the plans for another DEQ permit application - to physically remove the Nashville Dam and replace it with a series of weirs. Freiburger explained to the audience the results of stream channel and bank surveys which indicated that a weir structure was needed to compensate for the approximate 4-foot difference in channel height above and below the dam. The proposed design is a rock arch rapids, to be installed just below the existing dam, consisting of four “C” shaped weirs which will each raise the channel by approximately one foot. The rapids will be constructed of field stone varying in size from 0.6 feet to 5 feet, with smaller cobble added to fill in voids. The design will allow for canoe and kayak passage through the center of the structure and also permit fish to move upstream. To find out more about the project, please contact the Barry Conservation District at (269) 948-8056 X 5. 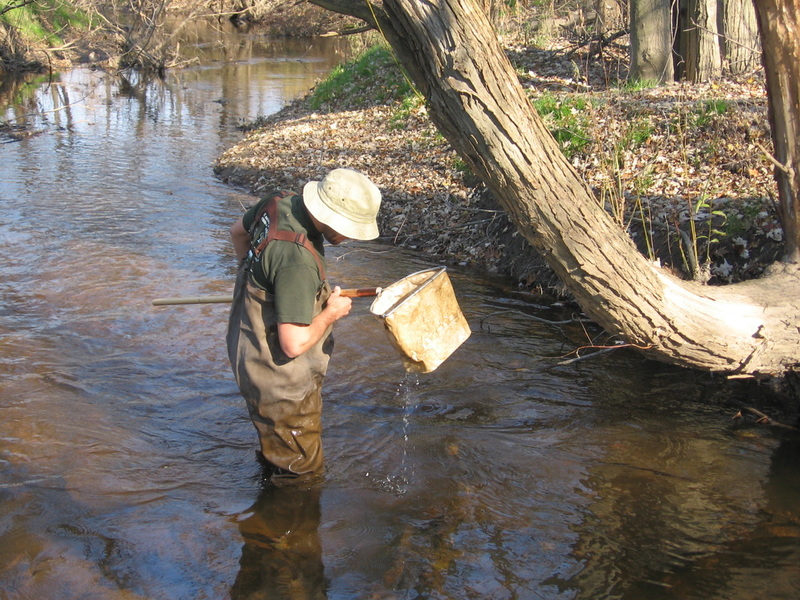 Volunteers help to collect Macroinvertebrates in the Thornapple River Watershed. This are water quality indicators and can help to track water quality and changes over time. Restored river upstream of Bennett Park. This is the headwaters of the Battle Creek River. Undersized culvert on Butternut Creek. This causes erosion and blocks fish passage. 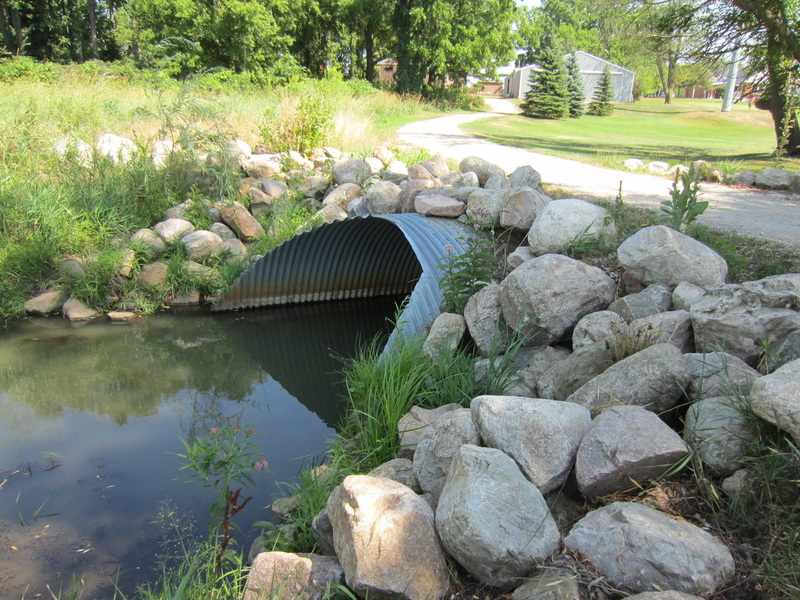 ECD worked with US Fish & Wildlife Service to replace culverts and restore the creek. New larger culvert in place on Butternut Creek. 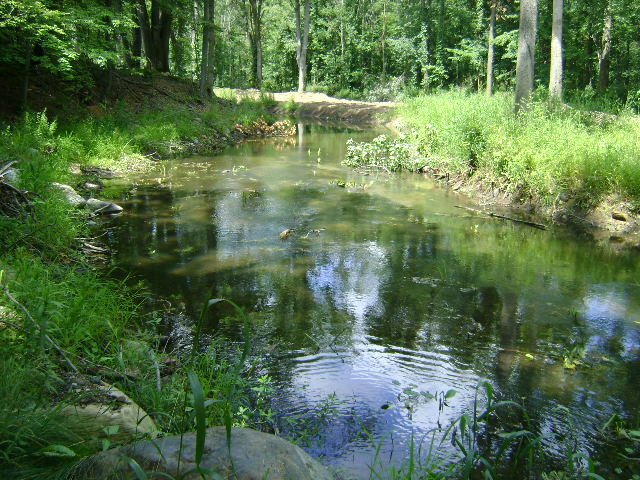 After installation, the creek bottom slowly restored to sandy/rocky bottom, providing better fish habitat. 2-stage ditch design at Charlotte Airport. 2-stage ditches help with sediment and nutrient transport and ensure adequate floodplain during storm events. 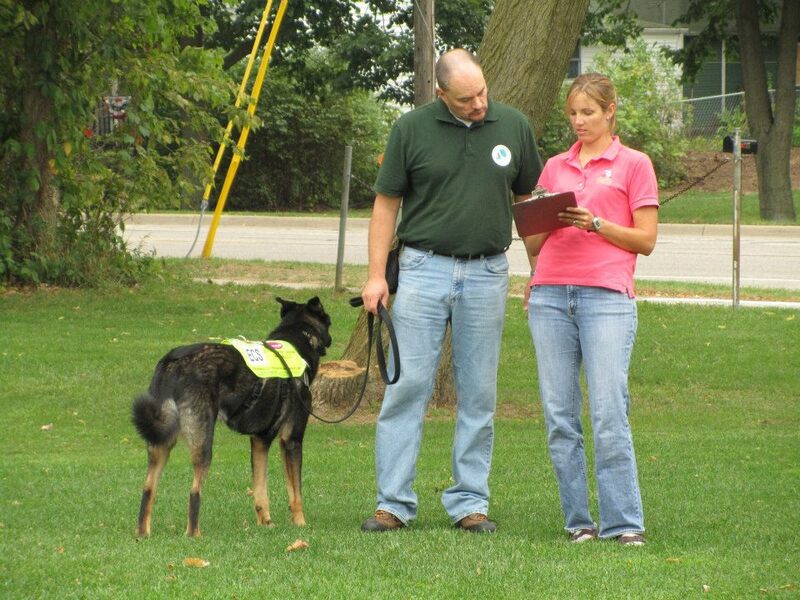 The mission of the Eaton Conservation District is to promote and encourage cooperation with other individuals, groups, organizations, or agencies in an organized effort to conserve and improve the natural resources in Eaton County.